Challenges faced by new restaurant owners – Starting a restaurant anywhere in the world comes with its fair share of challenges and being aware of these challenges will help you prepare ahead of time. In today’s article, we take a look at some of the common challenges faced by new restaurant owners and how you can overcome them. If you are planning to open a restaurant, you can still gain insight into what to expect before and after opening your restaurant. A lot of work goes into opening a restaurant. From choosing a suitable location, concept design, menu engineering, hiring staff, and creating a marketing strategy that will drive the business. Not forgetting feasibility study and financial projections, it is just a lot of work and can be overwhelming if not properly planned. A good restaurant consulting firm or consultant can help you plan every step of the pre-opening stage to ensure things goes as planned. Opening a restaurant is the dream of many entrepreneurs but dreaming is one thing and having enough capital to bring your dreams to reality is another. Capital is one of the challenges faced by new restaurant owners. Capital (a lot of it) is one factor that many entrepreneurs diving into restaurant business tend to underestimate. Though there are a lot of ways to cut cost, certain costs are unavoidable. When starting out, you will need money to lease a building or space and furnish the space. You will also need to keep enough capital to cover the first set of inventory, and paying staff salary until you break even. And lastly, you need money to take care of the marketing needs of your restaurant. No matter how economical you try to be, the competition in the hospitality sector is cut-throat and you need a solid restaurant marketing strategy to establish your business name and drive growth. Like I stated earlier, the competition in the restaurant industry is cut-throat. So fierce that over 50 percent of new restaurants close up within 12 months of starting. It is a scary statistics but one that can be overcome through solid, consistent marketing. So it is important that you learn how to market your business to bring in new customers. But more importantly, you should develop an unmatched customer service and loyalty program to reward customers and encourage repeat patronage. 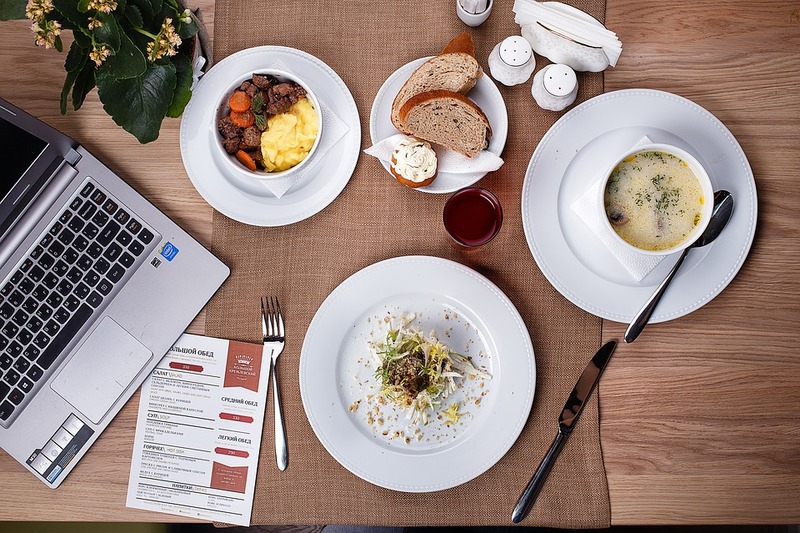 Alternatively, you can work with a restaurant consulting firm that has a track record of helping new restaurants to develop a solid online and offline marketing strategy that drives growth. If for financial reasons you decide against hiring a restaurant consultant, make sure that you hire a reliable marketing firm to help you craft solid, consistent tactics that will help you establish your presence. While competition is the major cause of restaurant failures, lack of proper inventory management is a culprit that is often ignored. Proper inventory management will help you to keep track of your costs. It will also help you to avoid excess supply or shortage of supplies during different seasons. Effective inventory management goes beyond tracking costs to involve tracking menu pricing and ordering habits of patrons. This will help you to limit waste as the price fluctuates. Improper inventory management is a major challenge that has put many restaurant owners out business. So make sure that you devise a technology-driven approach to handle this challenge from the onset. In addition, make sure that all financial transactions including unredeemed gift vouchers, sales tax, food costs, and many others are tightly accounted for. The level of employees expertise makes a world of difference. This applies to all kinds of business, irrespective of their niche or industry. But for a restaurant business, the staff determines the level of guest satisfaction which in turn determines the profitability of your business. In the hospitality sector, having the right food, prices, and a concept is important. However, patrons pay for not just the menu but for the service as well. If you want to ensure that anyone who walks into your restaurant leaves satisfied, you must endeavor to hire the right set of candidates, starting from the chef to the waiting staff. Everybody knows that having the right staff is important, the problem is knowing how to identify, hire, train, and retain the right candidates. Above, we have discussed some of the challenges faced by new restaurant owners. However, hiring an experienced restaurant consulting firm can help eliminate these problems. At DB Hospitality, we have a team of experienced restaurant consultants that have helped many entrepreneurs bring their dreams of running a successful restaurant business to reality. Whether you are new to the terrain, a seasoned restaurateur, or looking to establish a new restaurant in Dubai, we can help you with everything. From planning to concept and menu design, marketing, and sustained support even after you have established your presence.